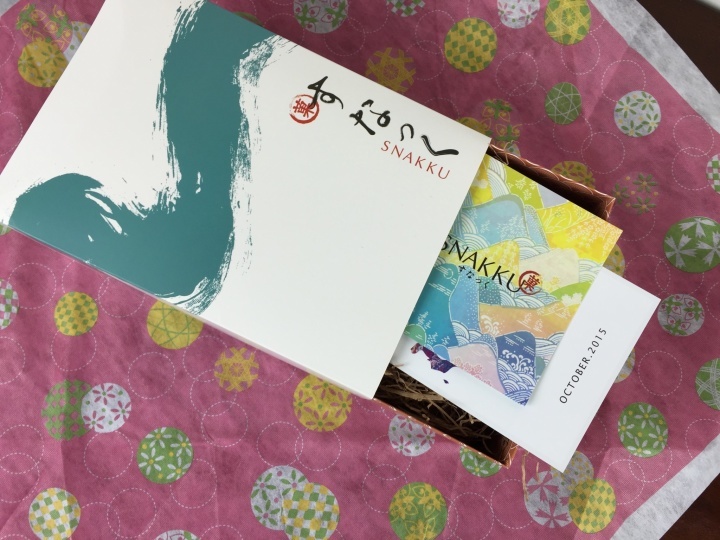 Snakku is a newer monthly authentic Japanese snack subscription box. 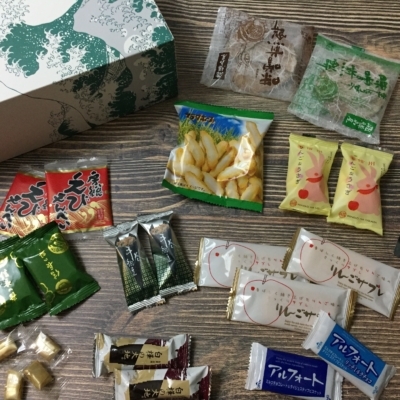 It’s quite different than all the rest of the candy and snack boxes from Japan that we’ve reviewed – that was evident when we opened the box to find a sweetly wrapped parcel covered in soft muted tones. 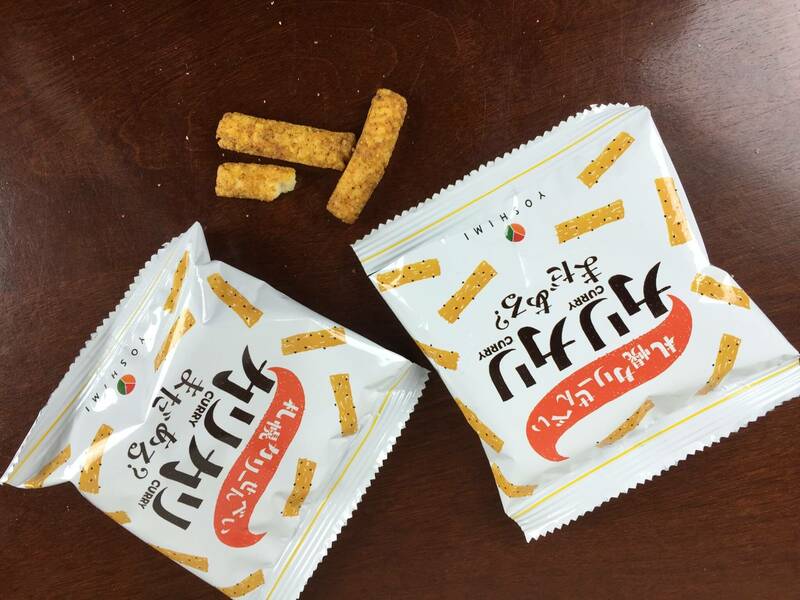 Snacks in Snakku boxes are both savory and sweet from local Japanese snack makers. Every box includes a featured snack from a local artisan using local products and recipes that have sometimes been used for hundreds of years. Every box contains about 10-15 snacks total. 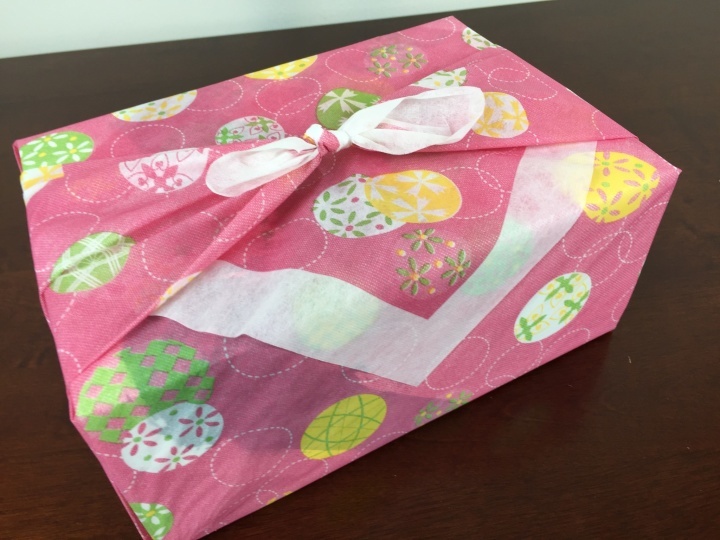 This wrapping is the traditional Furoshiki, which is just a wrapping cloth, but used to wrap absolutely everything. 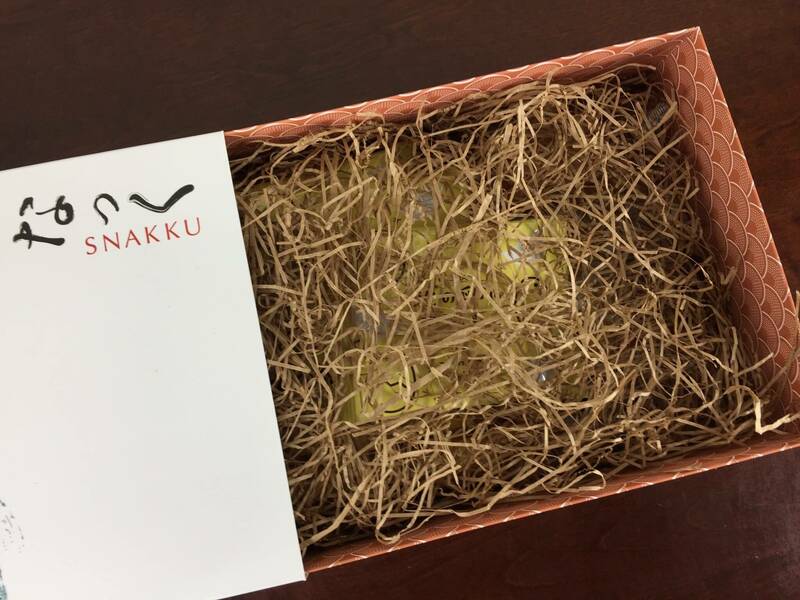 Subscribers on a 3 month plan will receive an actual cloth furoshiki in their first box (get 2 with a 6 month subscription! ), monthly subscribers receive their box in a paper one . I think this is a nice bonus for prepaid subscribers! We received a cloth Furoshiki last month — this one is a paper one, similar to the “cloth” used for dentist’s bibs and other disposable garments, but it was still very pretty and quite durable. This looks like a card – it’s actually the inner box. The cards are gorgeous. There are few Japanese snack cards that we’d consider hanging on our wall, but this is so attractive. October appropriately features a picture of Hokkaido, the northern-most isle of Japan. This box is so beautifully packaged. 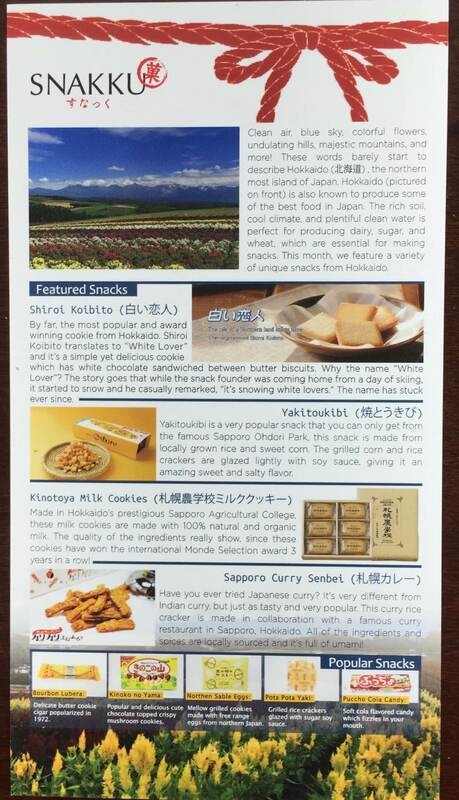 The included card is replete with information on the featured snacks and other popular snacks. 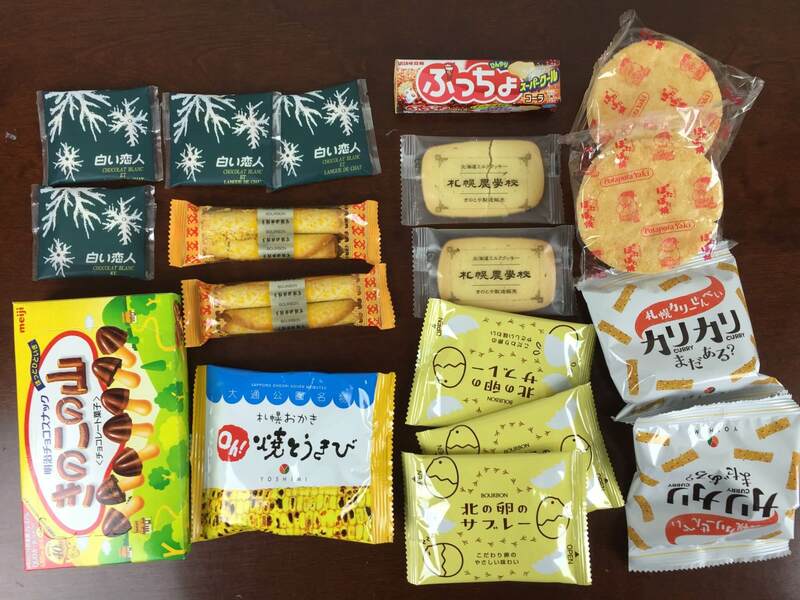 The theme for October was Snacks from Hokkaido, so the items showcased the wonderful quality of the grains, eggs, and dairy products of the region. Everything in the box. Snakku feels a little more upscale than other Japanese snack boxes. There are some cornerstore-style treats in the box, but the majority of the contents are classier items that are more suitable for offering guest while entertaining. 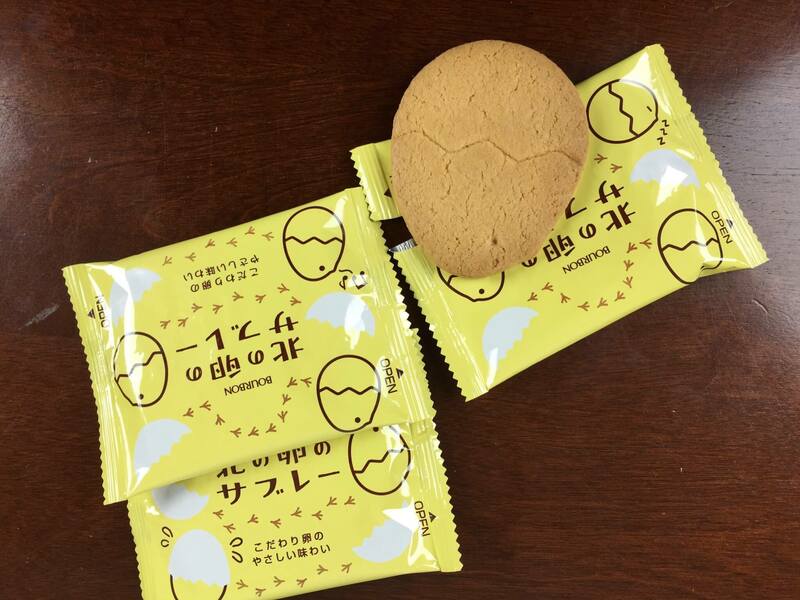 Nothern Sable Eggs: Free-range chicken eggs are the prized ingredient in these crisp, egg-shaped cookies. 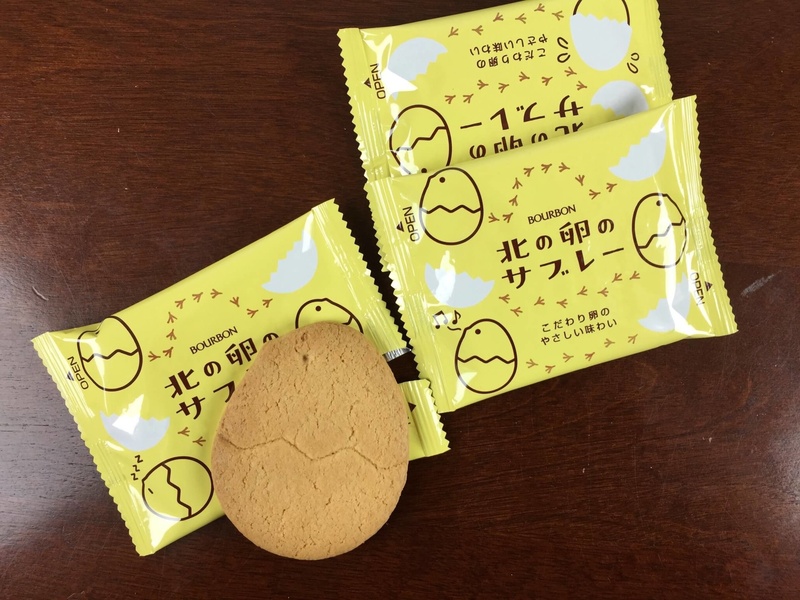 They have a delicate taste and texture similar to a very nice butter cookie, but the eggs impart a richness that is less greasy than you would find in a classic European butter cookie. 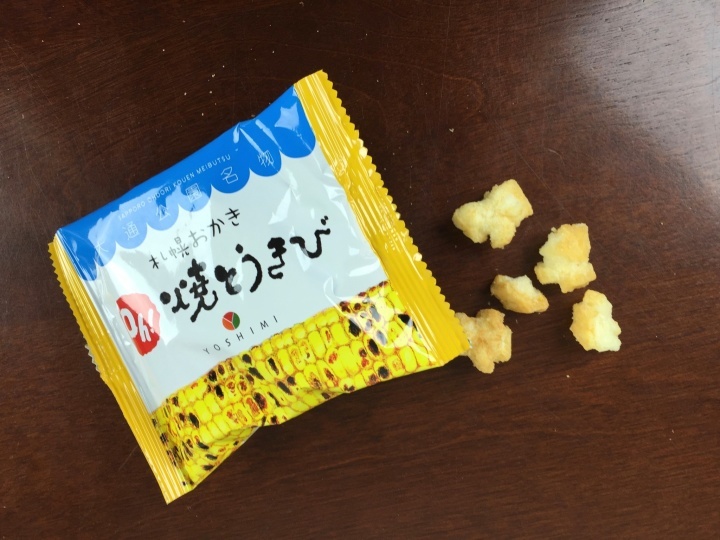 The texture of this crisp little puffs is similar to many Japanese puffy rice snacks — light and crisp, with a sweet soy lacquer. The distinguishing feature, however, is the immense flavor the corn contributes to the puffs. They have a surprisingly intense grilled corn flavor that is very tasty and unique. 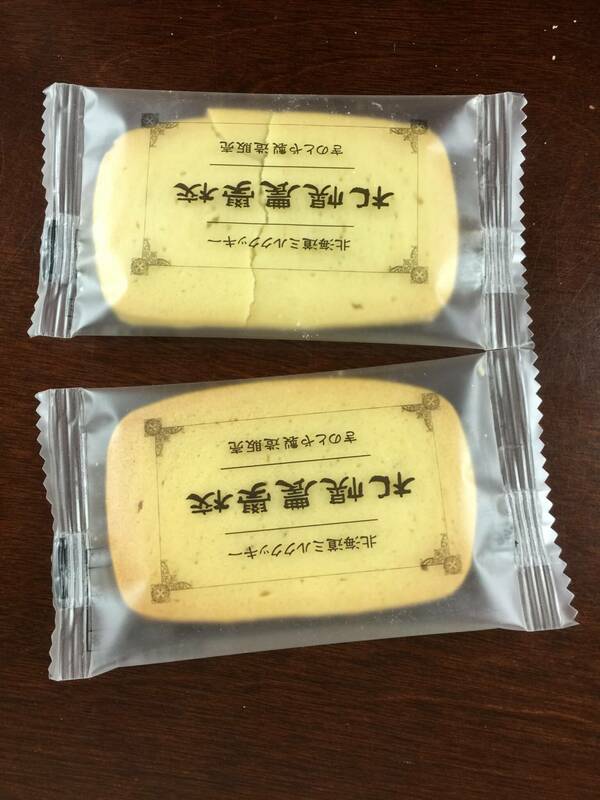 Kinotoya Milk Cookies: The texture of these cookies is that of a butter cookie, but with a less violent crunch and a finer texture. The flavor is delicate and mellow, avoiding the excesses of a fatty flavor or condensed milk sweetness. 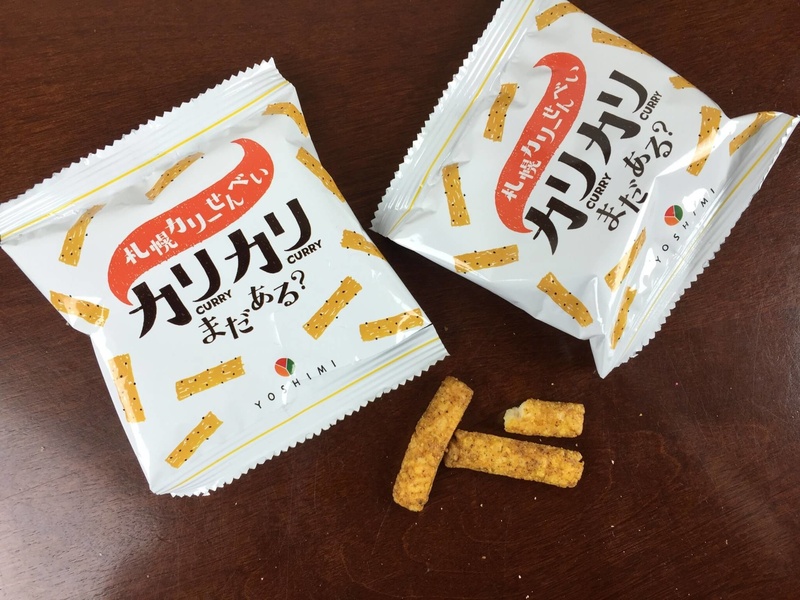 Sapporo Curry Senbei: Crunchy little puffed straws with a harder texture than rice crackers. The curry seasoning has some familiar curry-like tones (I believe there is a fair bit of cardamon, among others), but it also has some hints of soy and possibly seaweed (?). Also distinguishing this Japanese of curry from its Indian cousins is the lack of a sustained heat. The heat level is that of black pepper, with the focus remaining on the umami qualities of the seasonings. Bourbon Lubera: Crisp and delicate butter cookies, rolled while still warm. 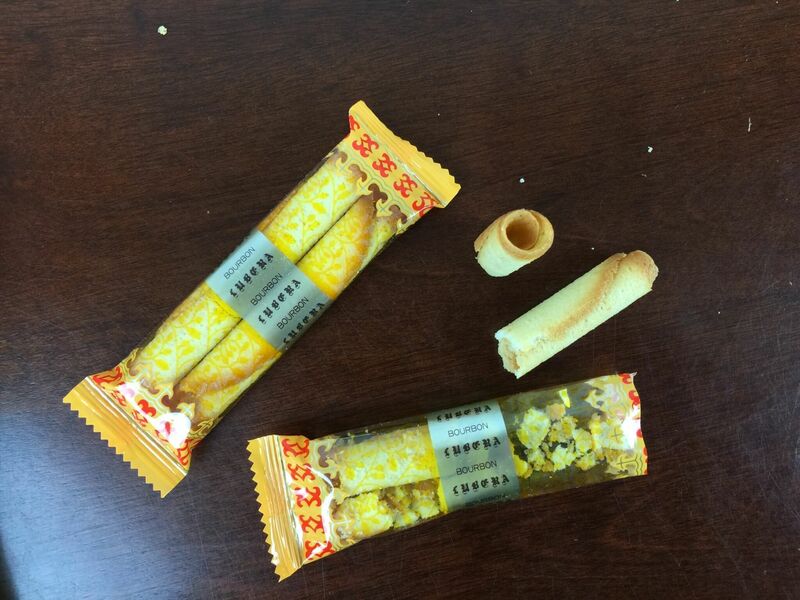 The tubes preserve the ultra-delicate cookie long enough to be consumed. 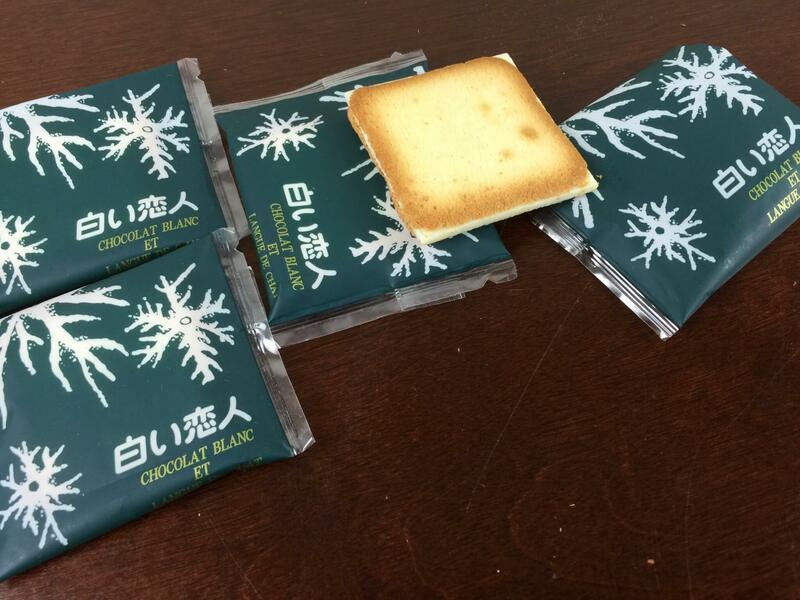 The flavor of the butter stands out, but the overall texture and taste of the cookie remains very light. 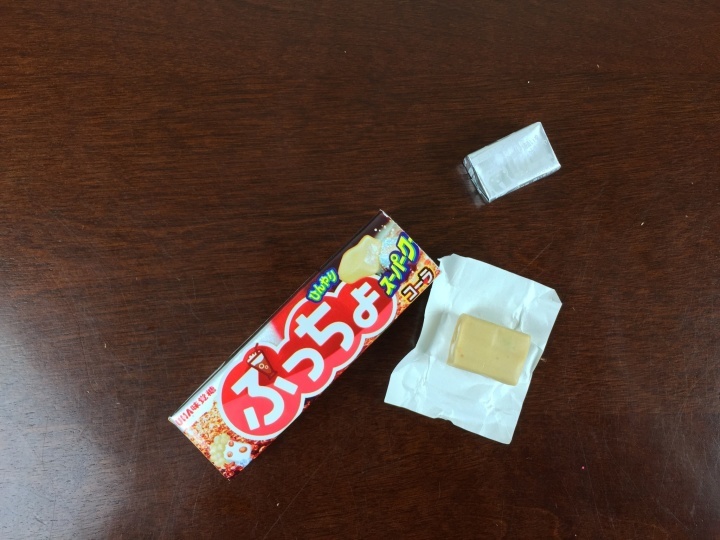 Pucho Cola Candy: The exterior of this candy is firm Hi-Chew-like candy, with a soft, slightly-fizzy interior. The flavor is cola-ish, but a bit more sour, and the fizzy interior leaves an odd, almost-minty aftertaste. 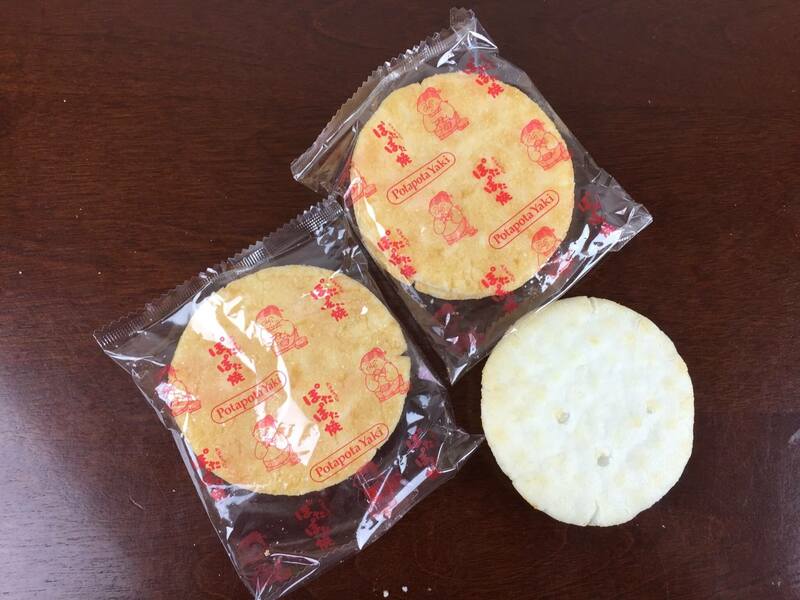 Potapota Yaki Senbei: A very sweet, soy-infused glaze coats this ultra-light senbei. The interior is so fine and delicate, that it nearly melts away like cotton candy when eaten. The glazing and grilling of the fine dough creates combination of crispness and delicacy that is unseen in commercially-available American snacks. 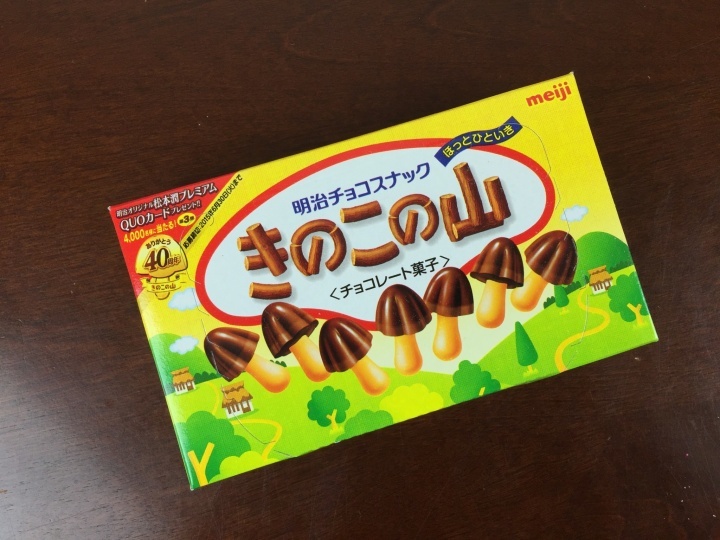 Meiji Kinoko no Yama: One of the cornerstore selections own the box, this treat combines Hello Panda-style cookie pieces with dark chocolate. Each piece is in the shape of an adorable mushroom! 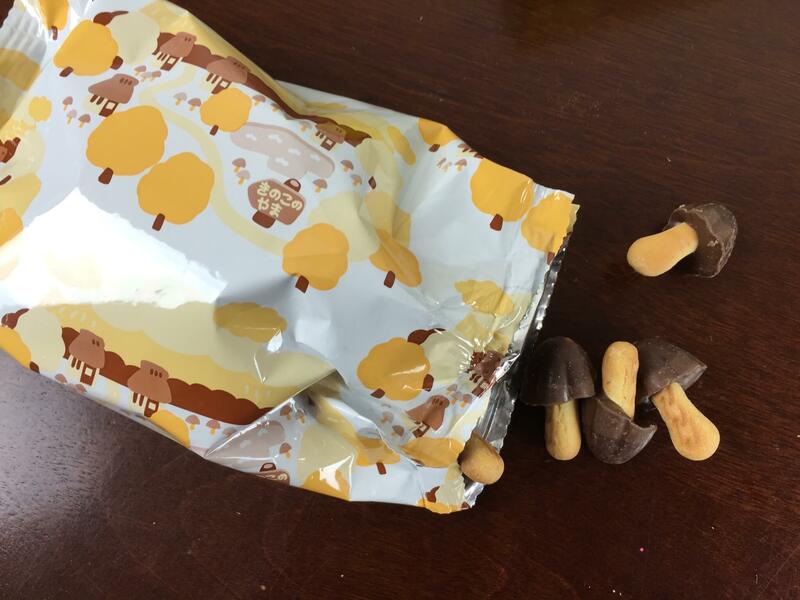 The flavor, though, is not mushroomy at all — just nice medium-dark chocolate and biscuit. Yakitoukibi: My favorite! 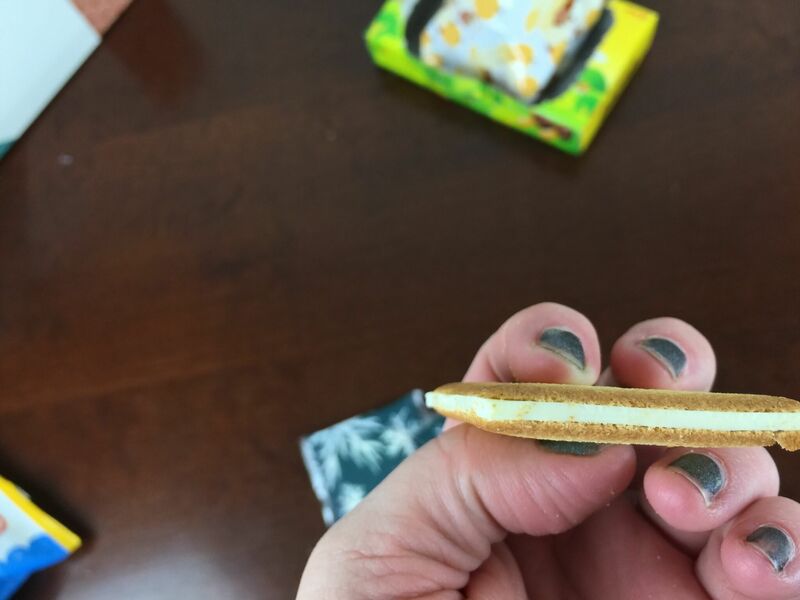 These “White Lover” cookies combine a tender and crisp butter cookie (much like the Bourbon rolls), sandwiching a thick slab of creamy white chocolate. Individually, each element is delicious, but the combination of the two in a sandwich creates a firmer textural element that is absolutely divine. Did I mention that I love these? Our second Snakku was just as impressive as our first. 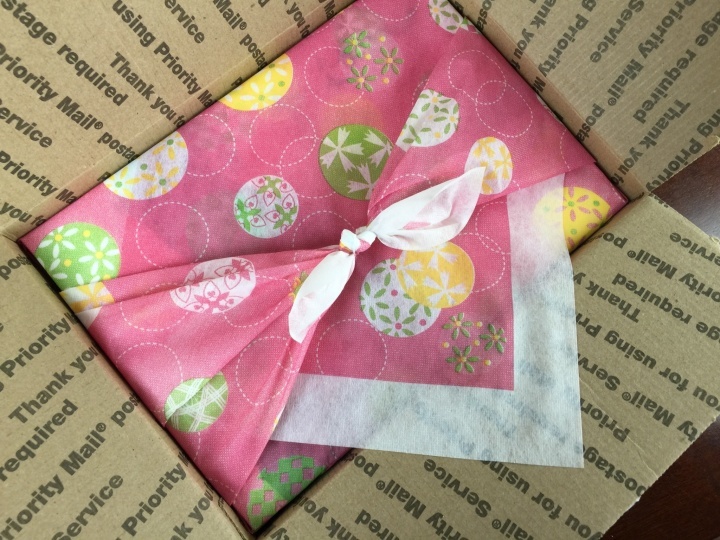 Though the Furoshiki wrap was paper on this box, it still conveyed the elegant tone of the box. The snacks were delicious, and they were chosen carefully to represent Japanese food culture as well as tastes — this Hokkaido-themed box showcased the wonderful farmland and dairy culture of the region, presenting several delightful cookies and crackers. The more commercialized products struck a nice balance between traditional and modern tastes, ranging from senbei to cola chews. 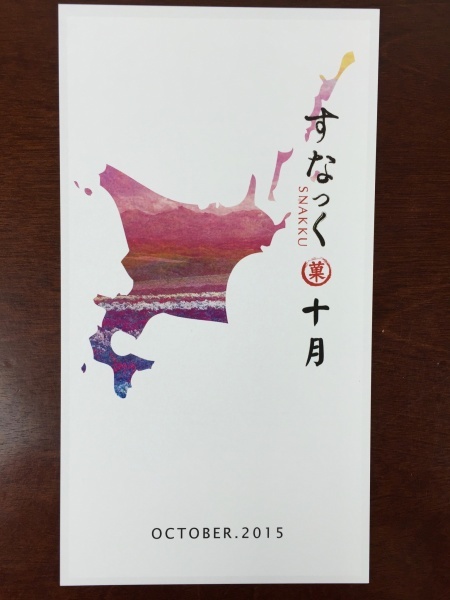 Many subscriptions offer a wonderful selection of popular and unique Japanese snacks, but Snakku has distinguished itself as a curator of the most elegant selection. The Coupon: Use coupon code HELLO10 for 10% off! The Categories:Boxes with Geographic Appeal, International Food Subscription Boxes, Local Boxes: Asian. Japanese Snack & Candy Subscription Boxes.